Serving the community the old-fashioned way, North Oaks Pharmacy addresses the pharmaceutical needs of the community by providing services that ensure the health and well-being of each member. We also offer a full range of pharmaceutical products that our clients can choose from, depending on their individual needs. 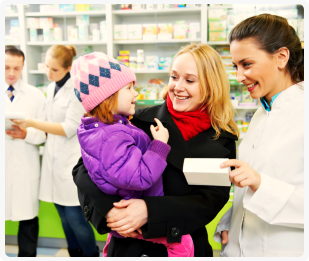 We are a family-owned pharmacy so you can expect us to treat you like a member of one big family. We make sure to cater to your needs, answer your concerns, and provide services that we know can help you in a big way. We supply you with safe, effective, and high-quality products along with the high level of customer service that you and your family deserve. We have instilled quality, integrity, and compassion in every member of our staff. These are the values that we will continue to follow and incorporate into our daily interactions with you when you visit our pharmacy. 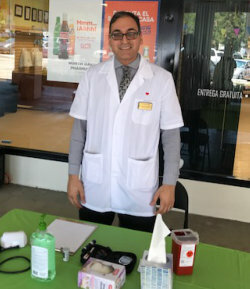 Dr. Ben Shavalian is the pharmacy manager at North Oaks Pharmacy. In 2010, following completion of his Bachelor of Science degree in Pharmaceutical Sciences, he went on to receive his Doctor of Pharmacy degree from Temple University School of Pharmacy in Philadelphia, PA.
Ben worked for CVS pharmacy for twelve years and is an associate clinical professor at Loma Linda University School of Pharmacy. 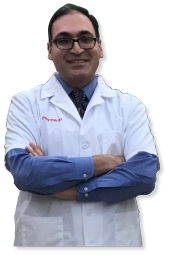 Dr. Shavalian is certified in Immunization Administration by The American Pharmacist Association (APhA). He has also completed special training and is certified in furnishing contraceptives, travel medicine, Medication Therapy Management, diabetes education, and smoking cessation. With the guidance of our pharmacy manager and our drive and dedication to helping our community members maintain good health, North Oaks Pharmacy will render quality services and make quality products accessible to all. We will help you with understanding your medications, the advantages and side effects of certain health products, anything that are important in managing your health. For further inquiries or information regarding how we can help you gain good health, please visit our pharmacy or contact us at 805-241-0935.